The Mabo Oration is a biennial event organised by the Anti-Discrimination Commission Queensland, and is the Commission's public commitment to the Aboriginal and Torres Strait Islander peoples of Queensland. It celebrates and pays tribute to Eddie Mabo and the landmark High Court decision which legally recognised that Indigenous people had a special relationship to the land that existed prior to colonisation. 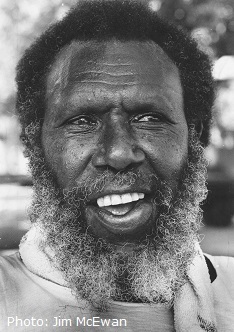 The inaugural Mabo Oration was held on 3 June 2005 at the Queensland Performing Arts Centre in Brisbane and was given by Noel Pearson. The 2019 Oration will be delivered by Luke Pearson. You can buy tickets on the QPAC website.